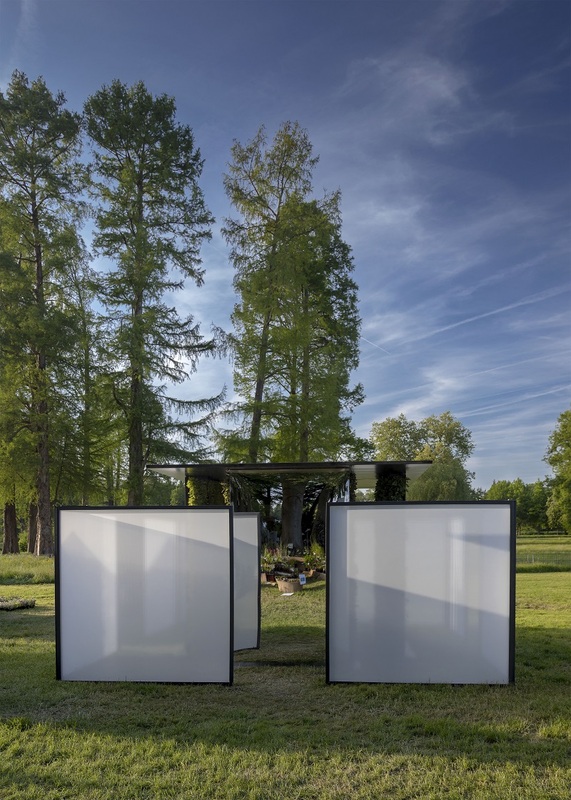 With the redelivery of "the golden leaf of Lake Como", the sculpture prize awarded to Orticolario for the winner of the "Spazi Creativi" congress, which took place in Villa Carlotta last April 13th, gave the symbolic way to tenth edition of Orticolario. 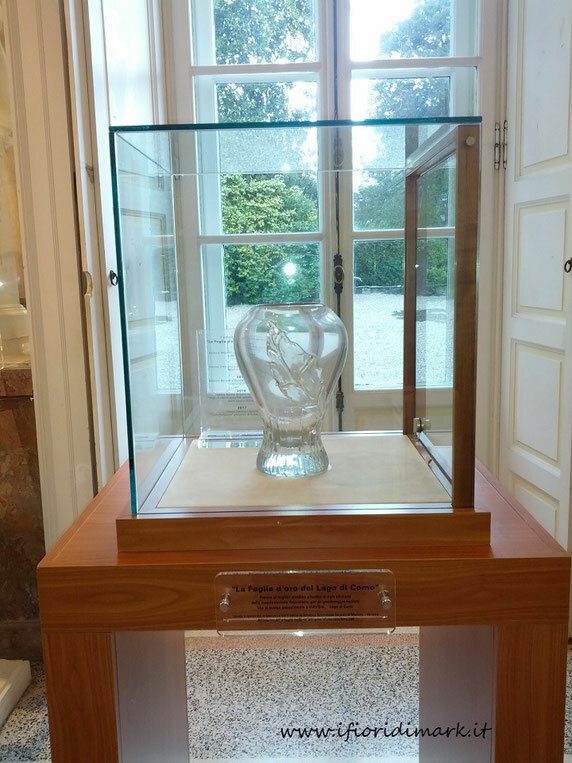 The vase (see photo), made by Gino Seguso of the historic Vetreria Artistica Archimede Seguso of Murano (VE), will remain in custody at Villa Carlotta next to the Golden Book, where the winners of the prize are included year after year. Present at the ceremony were Roberto Landello, winner of the 2017 edition with the Spazio Garden Lignano "Lunar Cyclicity", Moritz Mantero, President of Orticolario, Maria Angela Privitera, Director of Villa Carlotta and Maria Vittoria Bianchini, President of Villa Carlotta. Although there is still a few months left before the event, expectations and expectations are not few. For the tenth edition the game was chosen as the theme, while the plant that will represent the event will be sage. An interesting outward look will be represented by the social-benevolent aspect and will concern the fundraising aimed at local associations already involved in the social, whose volunteers already collaborate for the success of the event. "Si salvia chi può." This is the title of the tenth edition of Orticolario 2018 which will showcase in the historical park of Villa Erba in Cernobbio (CO), a rich calendar of meetings, an offer of rare, unusual, collectible plants, creative workshops and, let's not forget, the international competition of "Creative spaces." In 2017, the numbers tell, as many as 25,000 visitors visited Villa Erba on the occasion of the event in which 280 exhibitors were involved. 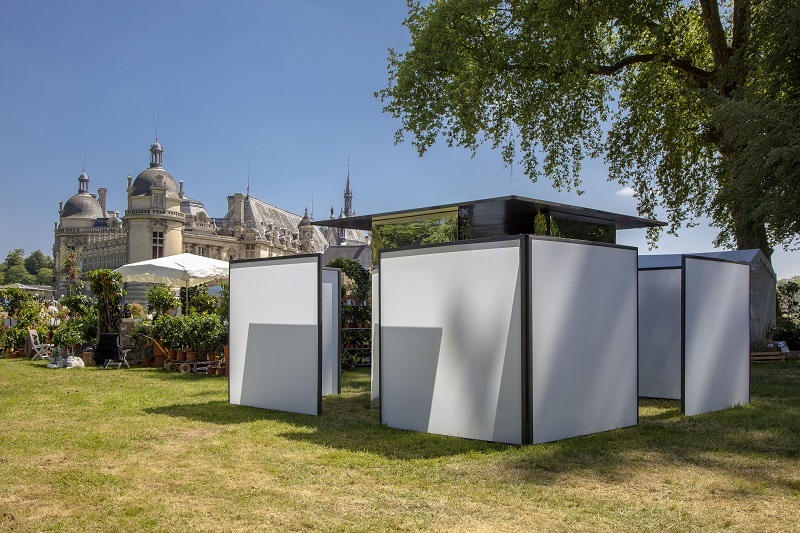 In the year of Sage, Orticolario returned to Chantilly with an installation dedicated to the plant that will represent the October event. 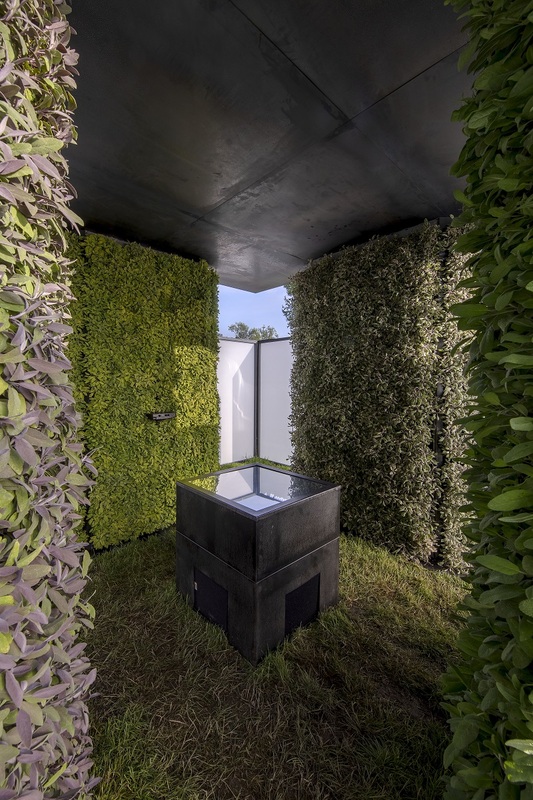 The Sage Temple, has enchanted visitors with multiple "tricks": a game and a whirlwind of mirrors, an intense perfume given off by 1200 and their persuasive voices; real sounds emitted by sage, perceptible thanks to special sensors on roots and leaves. 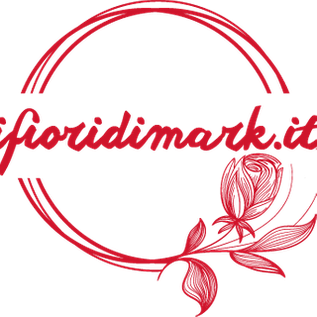 For all those who want to admire it in Cernobbio from the 5th to the 7th of October, it will be among the magic present on display at the edition of Orticolario 2018.